I guess the title really does say it at all. Art is one of those things that are hard to explain. Especially because it truly depends on how you look at it and what you feel about. 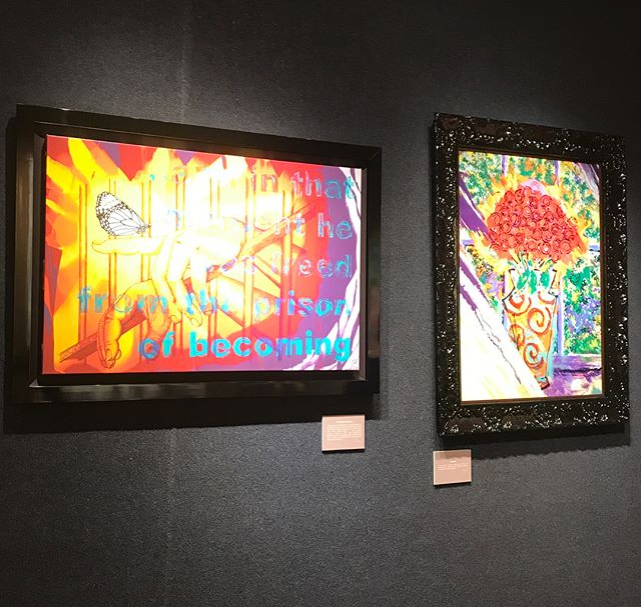 We have seen a couple of Jim Carrey's paintings and we are mesmerized but if you want to see it close by… there's a chance. Earlier this year, Jim signed with Signature Galleries, where he now is a permanent artist. Which means his art can only be viewed at their galleries. 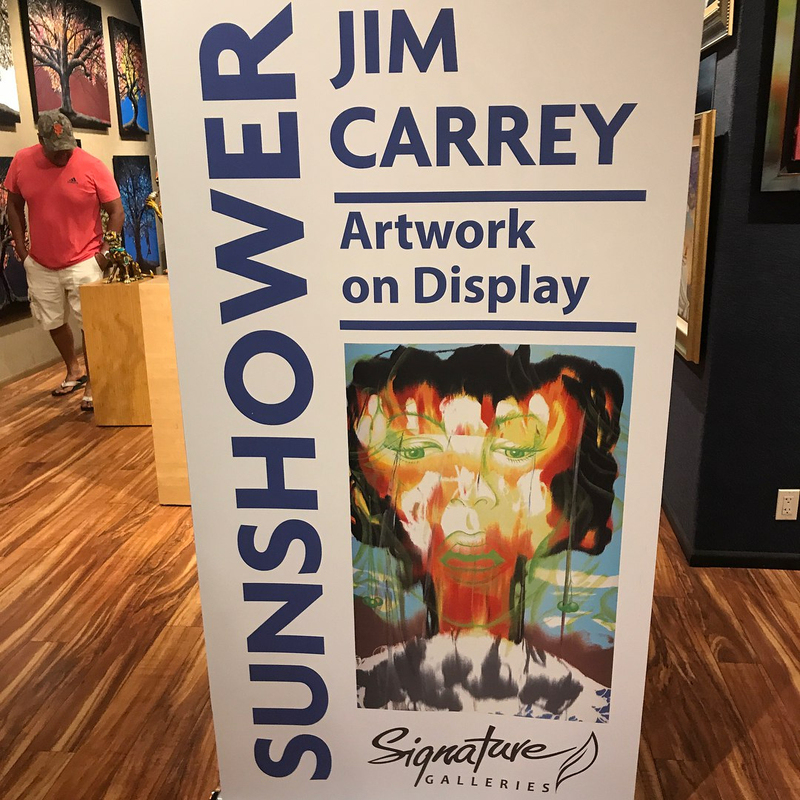 There's six of Jim Carrey's paintings on display in both the Gallery in California and Hawaii since the launch of the exhibition on August 6. And EVERYONE can go there and check them out! Oh, and if you do check it out, please let us know here at JCO. We would love to know your experience. We did mention in a previous article that there will be a big exhibition of Jim Carrey's art, presented by him. It will be held in September in their Las Vegas Gallery with more of his arts. We will bring further details about how to enter it later this week.